Beverly Kaye is founder and Chairwoman of Career Systems International. She is a recipient of ASTD’s Distinguished Contribution to Workplace Learning and Performance Award and is the author of Up Is Not the Only Way. 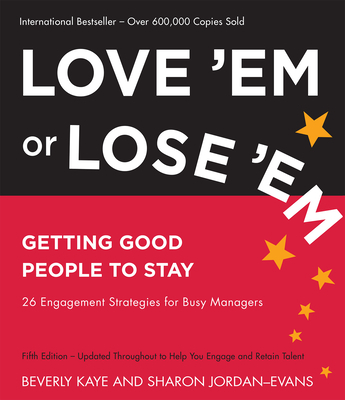 Sharon Jordan-Evans is president of the Jordan Evans Group and is a sought-after keynote presenter and a certified executive coach.Kaye and Jordan-Evans are the coauthors of Love It, Don’t Leave It: 26 Ways to Get What You Want at Work.